What is an Illinois Month to Month Lease Agreement? 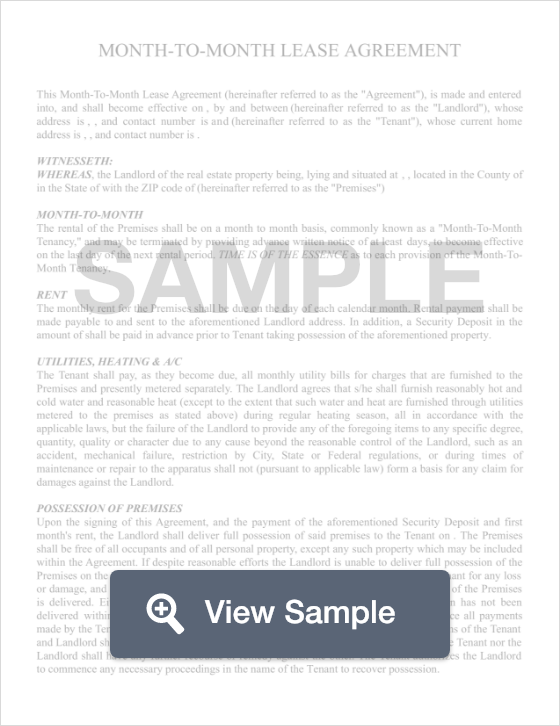 Illinois Month to Month Lease Agreement: What Is It? In Illinois, a month to month lease is a written agreement between a landlord and a tenant that specifies the terms of a rental agreement. A month to month rental agreement is essentially the same as a long term agreement, however, the difference is that instead of a tenant and landlord being locked into a 12-month agreement the term is only for one month. When the month is over, the lease will automatically renew until canceled by either the landlord or the tenant. Month to month lease agreements offer great flexibility to landlords and is great for tenants who may only want a short term lease, or who relocate often for work. According to Illinois state law, a tenant or landlord who wishes to terminate a month to month lease must do so at least 30 days before the termination will become effective.